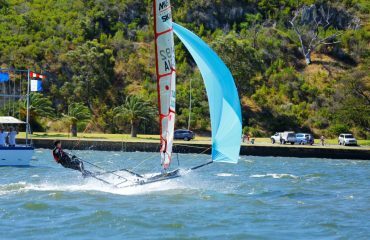 The growing local fleet that drive these exciting skiffs in Western Australia are being joined by another thirty plus sailors who are making the big jump across the oceans and the continent to enjoy the great flat water sailing and weather on the Swan River. The weather for the next week is looking promising. The longer range weather charts provide the most incite. The sea breeze system in Perth is determined by the movement of the high pressure system off the coast in the Indian Ocean. 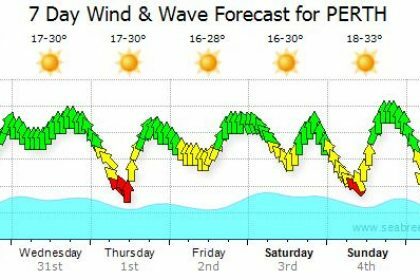 When a trough starts to form down the coast the south east anti clockwise gradient gets compressed and generates the perfect cycle for a strong sea breeze pattern. If the trough breaks through the high, the weather can become a little less predictable until the high pressure system stabilises. 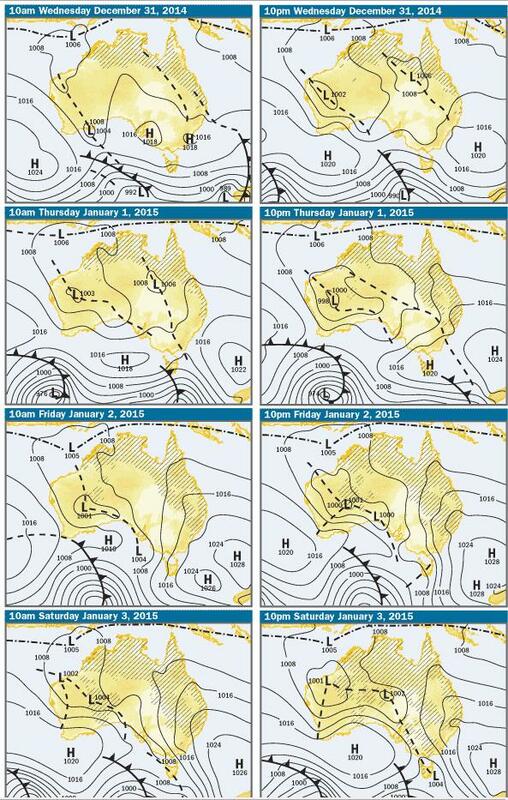 Looking at the below charts we can anticipate stronger winds on Wednesday and Friday. Accurately predicating beyond a couple of days is difficult as the trough will easily move 100 km east or west which alters the gradient on the coast dramatically. The registration process has already begun and the anticipation is starting to rise. Those attending include past dual world champions in Contenders, Arthur Brett and protégée Marcus Hamilton with other world, national and state champions in various skiff disciplines making their way over to Perth. Current National Champion Jon Newman has placed 4th in the last two Worlds and is over early to gain some early practice. Local sailors Denis Jones and Thor Schoenoff have swapped 1 and 2 in the last two state titles and are looking forward to taking on the contingent in their home waters. 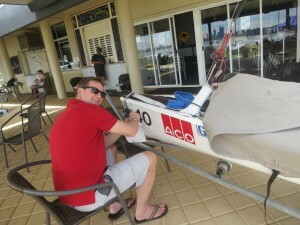 Newcomer Chis Jahn may be a big surprise having shown great speed straight away on his new boat. The overseas contingent is spearheaded by Ian Renlison of Scotland, a world champion in Contenders who is resuming his battle with Arthur Brett from the year 2000, albeit at a different level. 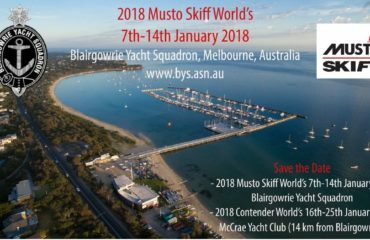 With Skiff friendly race management by guru RO Andy Curnow and his team and a perfect location for this type of boat, the Worlds looks like being an awesome event. 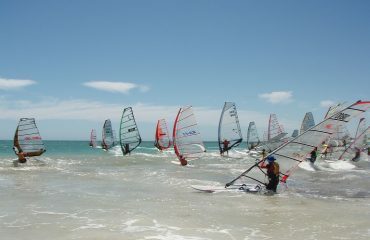 Event Details are on the Worlds web site www.mustoskiff.com.au.